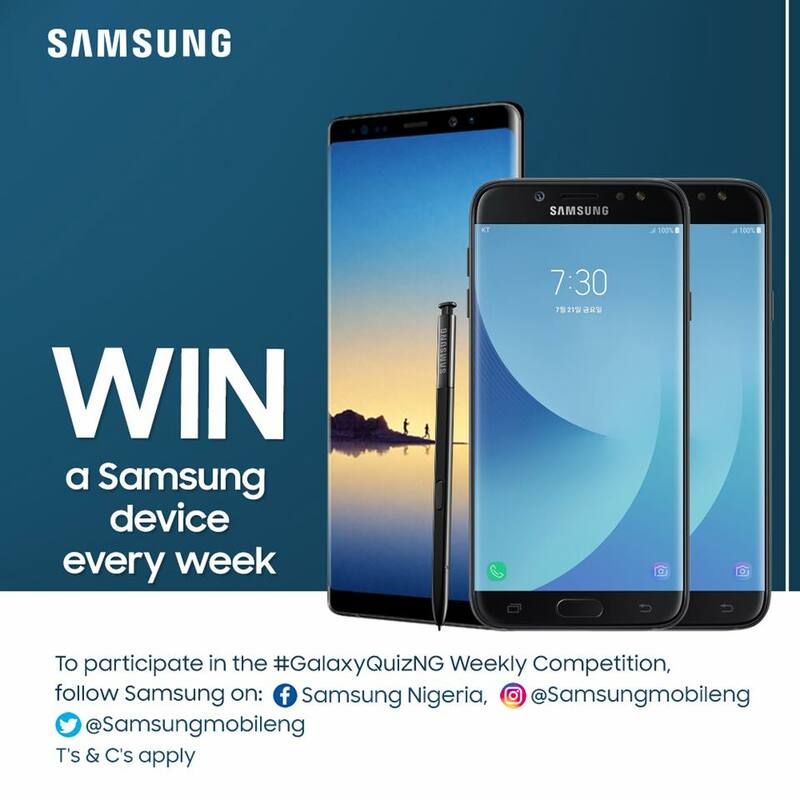 Win a Galaxy device in the #GalaxyQuizNG weekly competition. Twitter (@samsungmobileng) to stay up to date. Participate in the Galaxy Quiz NG Weekly Competitions.